LUNCH SPECIALS OCTOBER 1st – OCTOBER 5th!!! Dijon horseradish spread, grape tomatoes, and mixed greens on a wheat wrap. THURSDAY OCTOBER 4th THRIFTY THURSDAY!!! SPECIAL FLAVORS OCTOBER 1st – OCTOBER 5th!!! LUNCH SPECIALS SEPTEMBER 24th – SEPTEMBER 28th!!! romaine, and house made Caesar dressing on a whole wheat wrap. THURSDAY SEPTEMBER 27th THRIFTY THURSDAY!!!! 50% off SMALL HOT FUDGE SUNDAES!!!! SPECIAL FLAVORS SEPTEMBER 24th – SEPTEMBER 28th!!!! 50% off coffee and espresso drinks!!! 50% off SMALL HOT FUDGE SUNDAE!!!!! 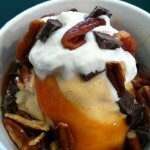 50% off a SMALL PUMPKIN SUNDAE!!!!! 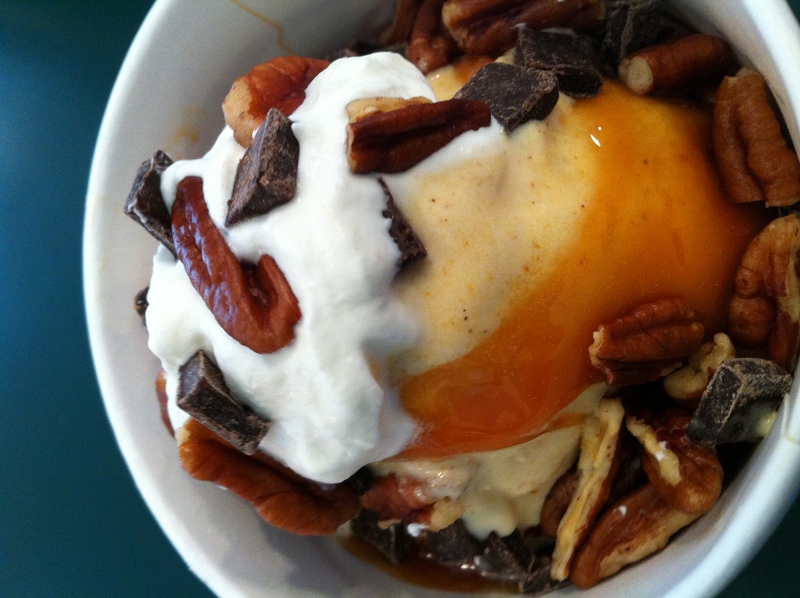 Pumpkin ice cream topped with pecans, chocolate chips, hot caramel, and whipped cream!! Broccoli and Sun-Dried Tomato Salad, and Couscous Salad with Dried Fruit! !